When it comes to running a small business, unpaid invoices and bad debt can be quite disastrous. Therefore, business owners tend to look for ways they can protect their businesses from bankruptcy and recession. It has been shown that most of the businesses today turns to invoice financing in order to have a high cash flow. So if you are looking for a way to finance your small business, invoice financing might just be something you should opt for. Make sure you keep reading to find out more. Invoice financing is a way you can use your unpaid invoices in order to create enough funds to keep your business going. It is one of the most effective ways for protecting a small business from bankruptcy and helping it grow. When negotiating the sale of your unpaid invoices, you can opt for two different deals. You can either allow the buyers to obtain your unpaid invoices for a lower price or sell them for a full price but agree to pay some extra charges once you start making profit. Ever since the market crash of 2008, business owners are no longer keen on taking standard business loans in order to finance their small businesses. This is one of the reasons why invoice funding has gained much popularity recently. Invoice funding is a much better option for small businesses, since there are not any debts business owners will later have to think about. An amount of money you can get is based on your sales figure, which means you aren’t able to take any loans that will put your business at risk. This means your small business will never be at risk of bankruptcy and recession. Another great thing about choosing invoice funding is that it can actually serve as a long-term strategy for financing your small business. If you choose this to be your long-term strategy, you can offer your customers more flexible and lengthy repayment plans without putting your business at risk. If you decide to do this, you should also know that customers won’t know that you are using invoice funding as your main strategy. Therefore, you can run your business just like any of your competitors. A large number of entrepreneurs use invoice financing as a strategy to get out of their debts. Even though it seems like invoice financing is a great way to do this, you shouldn’t do it unless you are 100% sure your customers are going to repay all of their debts. This is the case because when you opt for invoice financing, you don’t really sell your invoices but simply use them as a deposit and you still have to pay back the agreed amount of money. 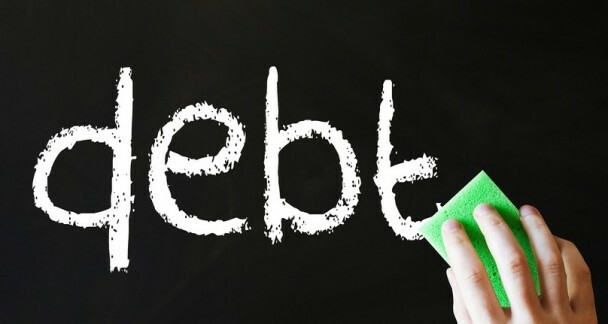 If you are absolutely sure you will be able to recover debts from your customers, you can use this strategy as a way of debt recovery. Having all of this in mind, it is certain that competitive invoice financing can do wonders for your small business. Just make sure that you invest all of your profit carefully and your small business is guaranteed to grow.